Show your love with custom stickers! Browse our selection of cute designs or upload your own. The perfect choice for your special messages and cards, heart stickers are also great for displaying your favorite images and photographs. Heart Sticker. 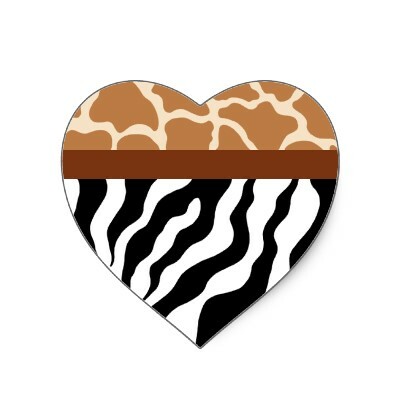 A Zebra pattern decorates this animal print sticker. Use these stickers for a safari theme, envelopes, birthday party, school, class, crafts, etc…The design is from original art. Sheet of 20.